Except for John Paul I every pope since Blessed Pius IX has spoken about St Joseph. Pope Francis has done so more than once. The Holy Father first shared some thoughts about our saint in the homily at his Mass of inauguration on 19 July 2013. The Pope goes on say that Joseph, in his ministry as protector of Mary and Jesus, was constantly attentive to God. 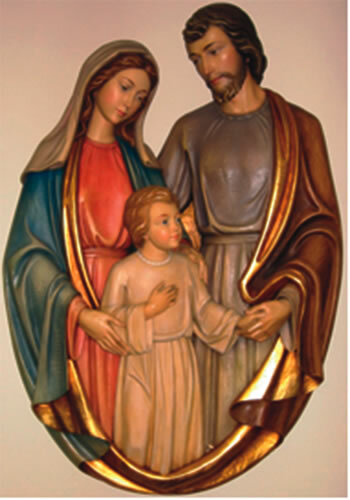 He was open to the signs of God’s presence and receptive to God’s plans for the Holy Family. He was able to hear God’s voice and be guided by his will. For this reason he was all the more sensitive to the persons entrusted to his safekeeping. He could look at things realistically, he was in touch with his surroundings, he was empowered to make truly wise decisions. The Pope then applied what he had said about St Joseph to us. “Dear Friends, from him we learn how to respond to God’s call, readily and willingly. In him, too, we see the core of the Christian vocation, which is Christ! Let us protect Christ in our lives, so that we can protect others, so that we can protect creation! But being a protector isn’t just for Christians. It involves everyone and it does mean protecting all creation. It means respecting each of God’s creatures and respecting the environment in which we live. It means protecting people, showing loving concern for each person, especially children, the elderly and those in need. It means caring for one another in our families: husbands and wives first protect one another, and then, as parents, they care for their children, and children themselves in time protect their parents. It means building sincere friendships in which we protect one another in trust, respect, and goodness. In the end, everything has been entrusted to our protection, and all of us are responsible for it. Protecting demands goodness, it calls for a certain tenderness. 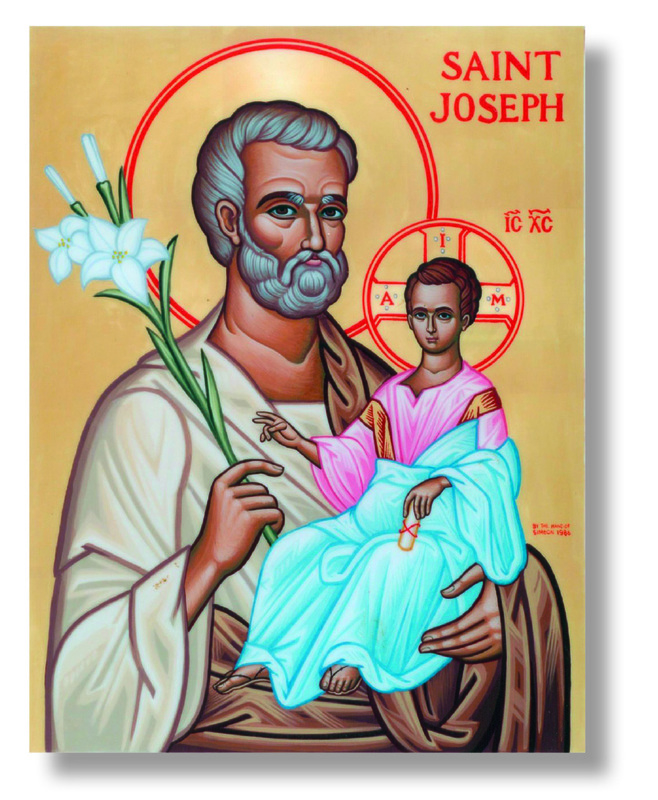 In the Gospels, Saint Joseph appears as a strong and courageous man, a working man, yet in his heart we see great tenderness, which is not the virtue of the weak but rather a sign of strength of spirit and a capacity for concern, for compassion, for genuine openness to others, for love. We must not be afraid of goodness, of tenderness. At a general audience a year later Pope Francis reflected on St Joseph as Jesus’ teacher and based his reflection on a single verse in Luke’s Gospel. “And Jesus increased in wisdom and in years, and in favour with God and man” (Luke 2: 52). He said, “We look to Joseph, model for educators, who takes care of and supports Jesus in the course of his growth. He was not Jesus’ father: Jesus’ Father was God, but he behaved as a father to Jesus; he behaved as a father to Jesus to help him grow in wisdom, years and grace. Joseph and Mary brought Jesus up. 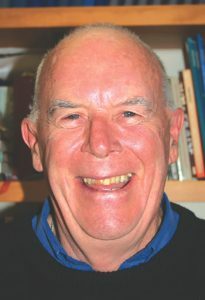 They attended to his physical and psychological growth. Their diligent looking after the Child included the flight into Egypt and the harsh experience of living as refugees to escape from Herod’s threat. Then, once they had returned to their homeland and were established at Nazareth, there is the whole long period of Jesus’ life in his family. In those years, Joseph also taught Jesus his work, and Jesus learned to be a carpenter with his father Joseph. Jesus increased in wisdom. Joseph was an example and teacher of this wisdom for the boy, a wisdom which is nourished by the Word of God. Joseph taught him to listen to the Sacred Scriptures, above all accompanying him on Saturdays to the synagogue at Nazareth where both could hear the Word of God proclaimed and explained. You lived a poor and humble life. You left behind your home, and walked into the unknown with Jesus and Mary. which is our family too. Amen. This prayer was written by Brother Pat Thomson sm and Fr Ben McKenna sm for the Marist Formation Community in Tutu, on the island of Taveuni, Fiji.